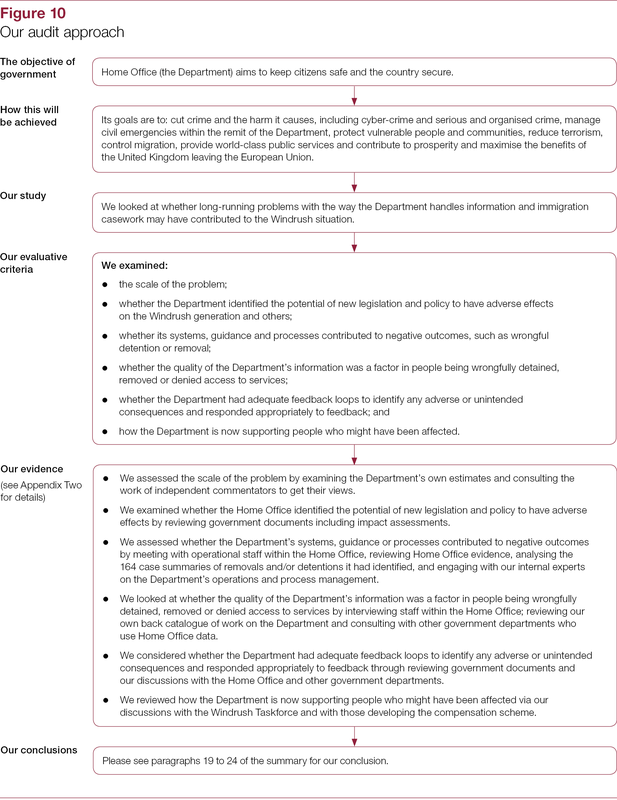 This study examines how the Home Office handled the impact of its immigration policies on the Windrush generation. 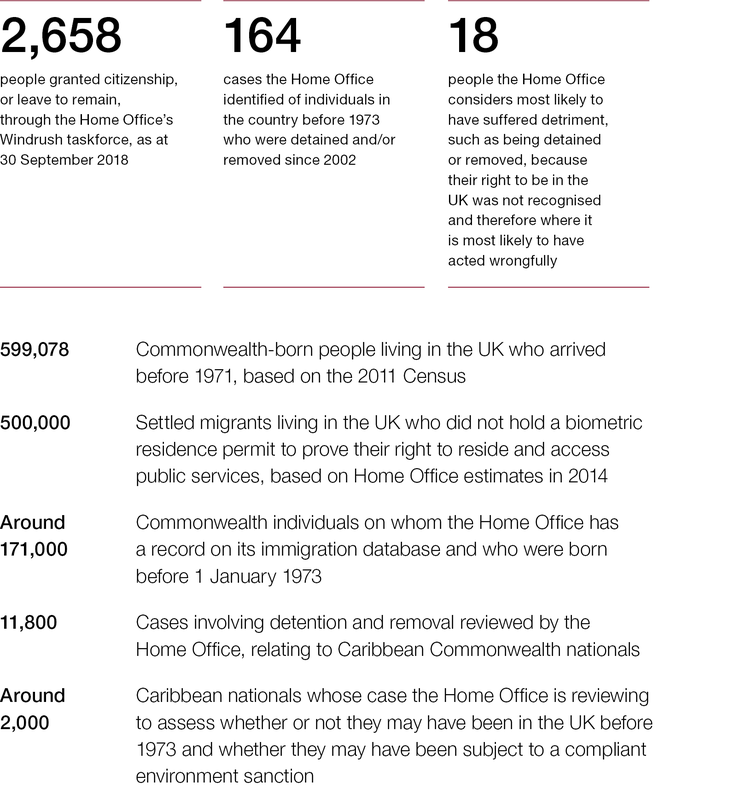 Between 1948 and 1973 many Commonwealth citizens came to the UK under successive pieces of immigration legislation. Some of these individuals, particularly those from Caribbean nations, have recently become known as the Windrush generation. 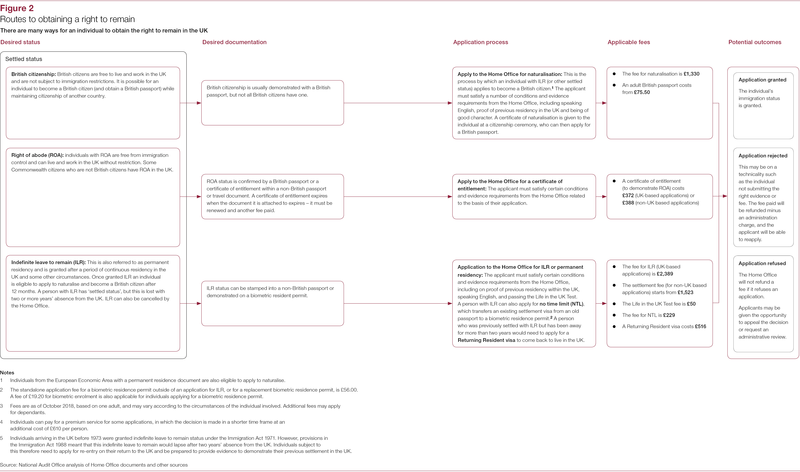 The government amended existing immigration legislation with the Immigration Act 1971, which came into force in 1973. 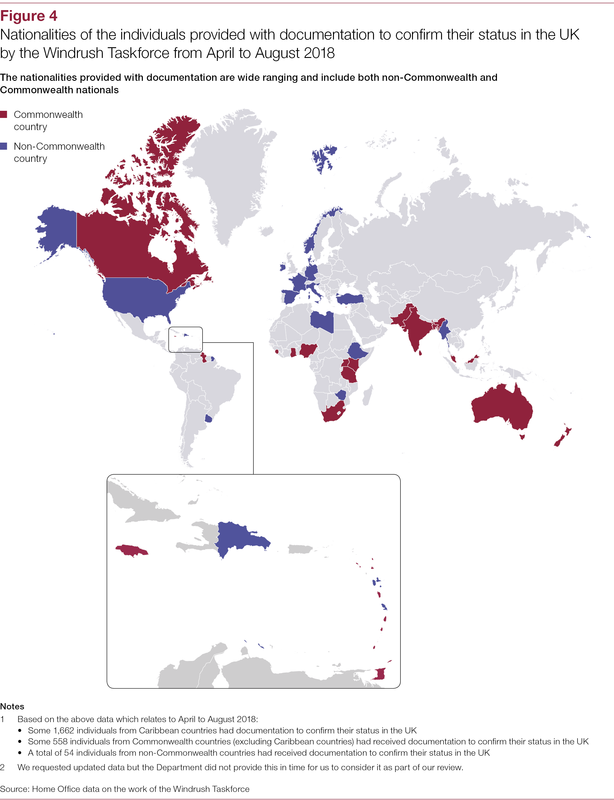 At this time, Commonwealth immigrants already settled in the UK were given indefinite leave to remain, but many were not issued with any documentation, and the Home Office (the Department) kept no records confirming these individuals’ status. Over at least the past 10 years the government has further reformed immigration policies according to the principle that the right to live, work and access services in the UK should only be available to those migrants who are eligible. 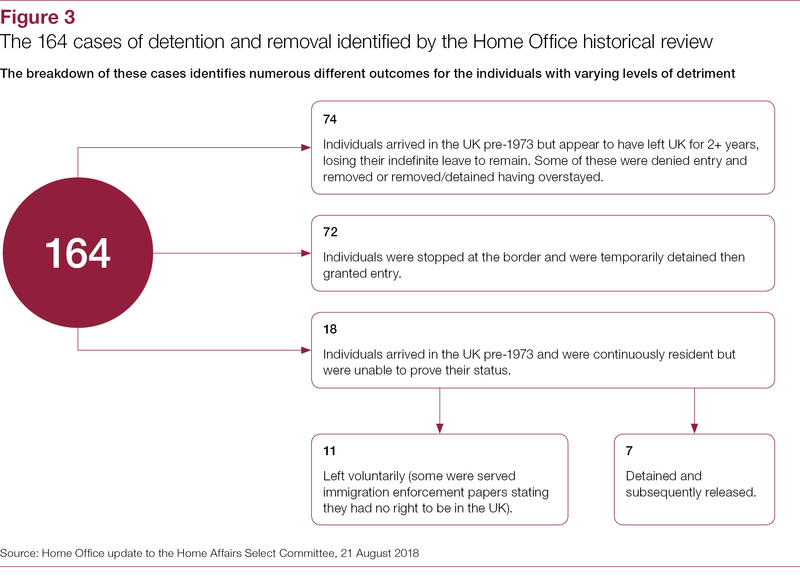 In the spring of 2018, the media began to report stories of people who had come to the UK from the Commonwealth, being denied access to public services, being detained in the UK or at the border, or removed from, or refused re-entry to, the UK. It was reported that some people did not have the paperwork to prove their legal right to reside in the UK. 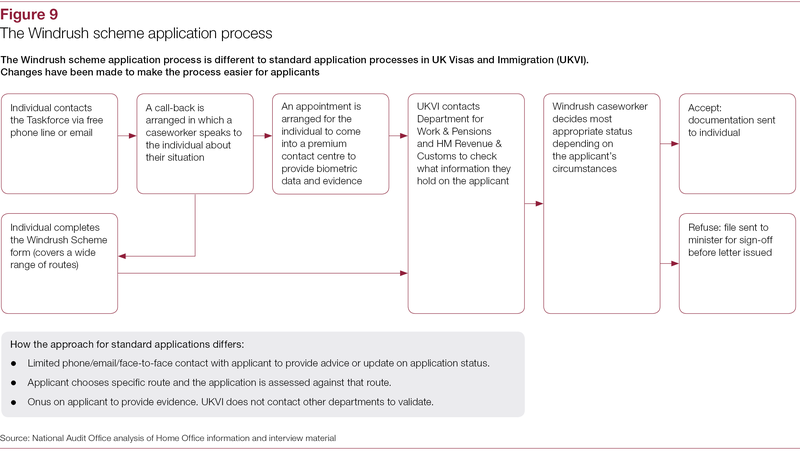 In April 2018, the government acknowledged that the Windrush generation had been treated unfairly and set up a taskforce and scheme to help individuals to resolve their immigration status. 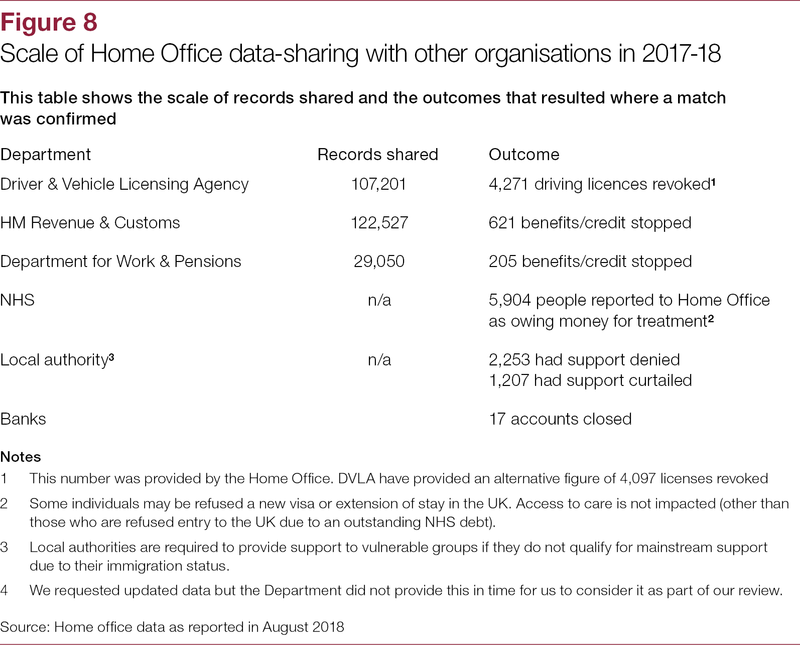 how the Department is now supporting people who might have been affected, through the Windrush scheme. 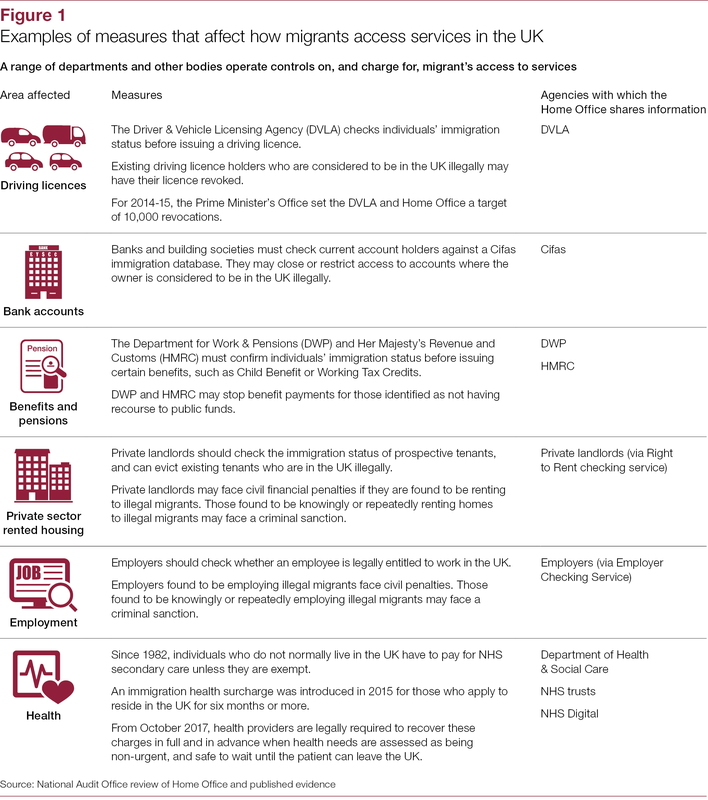 The policy of successive governments to create a hostile/compliant environment for illegal migrants involved limiting access to benefits and services and tightening enforcement activities. This included a ‘devolved approach’ placing a duty on landlords and employers and public service providers to carry out checks. 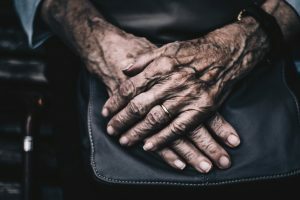 This predictably carried a risk of impacting on individuals who were, in fact, entitled to residence, but who did not have the necessary documents. The Department had a duty of care to ensure that people’s rights and entitlements were recognised and this has been re-emphasised by the Prime Minister. We do not consider that the Department adequately considered that duty in the way that it introduced immigration policy. 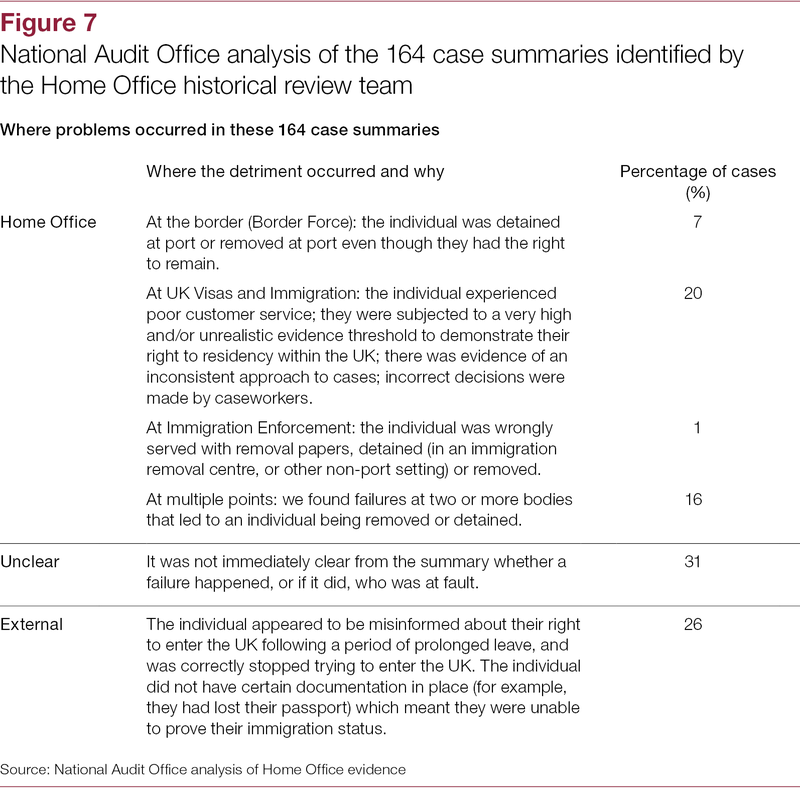 In its implementation of the policy with few checks and balances and targets for enforcement action, we do not consider, once again, that the Department adequately prioritised the protection of those who suffered distress and damage through being wrongly penalised, and to whom they owed a duty of care. Instead it operated a target‑driven environment for its enforcement teams. The clarity of briefing to the former Home Secretary on this issue has also been called into question. It is clear that the Department received warnings of the fact that people, including in one case an employee of the House of Commons, were being wrongly caught up in the enforcement and compliant environment sanction regimes it was responsible for, but this did not have the effect of stimulating inquiry, or timely action. The Department is now moving to identify affected individuals, and to compensate them. This is positive. However, it is still showing a lack of curiosity about individuals who may have been affected, and who are not of Caribbean heritage, on the basis that this would be a ‘disproportionate effort’. In the circumstances, we find this surprising. It is clear that the Department’s implementation of the policy, now resulting in a belated and costly exercise in seeking information and paying compensation, to say nothing of the reputational damage involved, was not value for money. 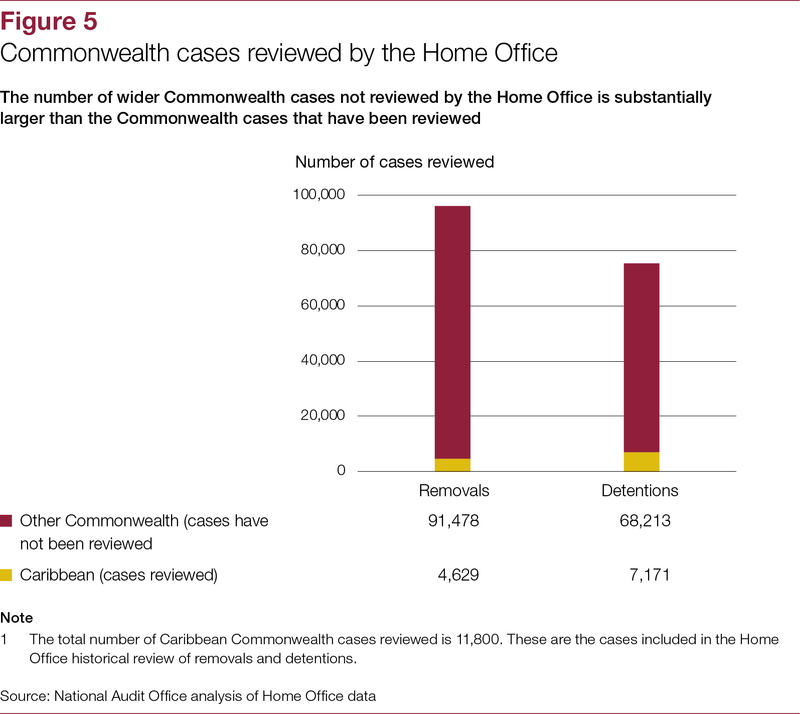 The Home Office failed to fulfil its duty of care to members of the Windrush generation, which led to serious consequences for the people affected. 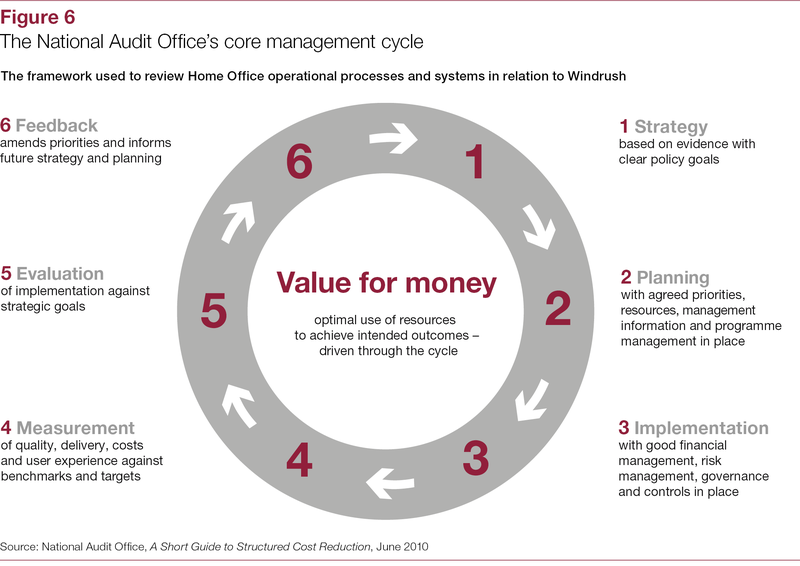 Watch our video about how this happened and what the Home Office is doing now.